Paper House Ci sono 2 prodotti. 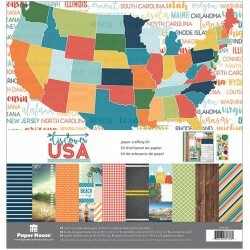 Paper House Paper Crafting Kit 12" x 12" "Discover Usa" Le Carte Paper House sono ideali per creare Layouts, Album, Cards e molto altro. 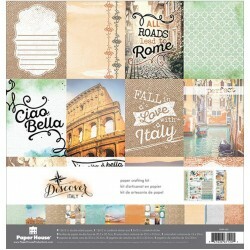 Paper House Paper Crafting Kit 12" x 12" "Discover Italy" Le Carte Paper House sono ideali per creare Layouts, Album, Cards e molto altro.